If you're thinking about building a deck this summer, start with Barkman's deck pads. Barkman 18x18x6 deck pads provide your 4x4 post the support needed to ensure a safe and properly secure deck. Barkman deck pads are all pre-casted requiring no concrete preparation or mixing making any deck building a breeze. Drop. Stomp. Done. You'll never want to use stone pavers again! Easily transform a section of your lawn into a more usable area for your next patio party. Stomp Stone pavers provide a quick and attractive option to extend or create a patio (big or small) where you currently have grass, gravel, or soil. Also create a beautiful garden pathway to your favourite outdoor living space. Minutes to install, years to enjoy. The Envirotile Hexagon Stomp Stone in grey is an incredibly easy and innovative light-weight alternative to traditional outdoor pavers. With a natural stone look, this low-maintenance Stomp Stone is ideal for walkways, patio's, play areas, decorative borders and more! Made from recycled tire rubber, this Stomp Stone features a patented cutting edge technology enables easy installation in minutes! Kendo Stepping Stone, Beige & Tan Four different shapes, each with a natural texture and irregular contour, combine for a beautiful project with the look of natural stone, at a fraction of the cost. 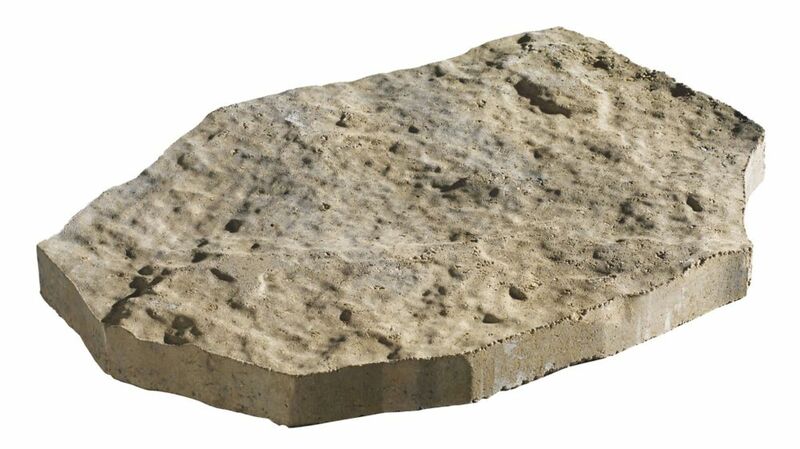 Kendo Stepping Stone, Beige & Tan is rated 4.0 out of 5 by 1. Rated 4 out of 5 by Joy S from Easy to install Great Looking natural concrete stone. Easy to install.